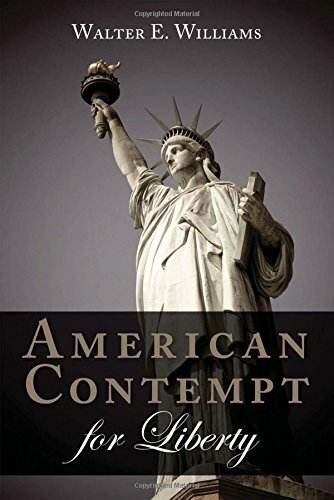 American Contempt for ... Walter E. Williams Best Price: $10.35 Buy New $13.41 (as of 02:20 EDT - Details) According to the CDC, in most industrialized countries, the number of cases of tuberculosis and the number of deaths caused by TB steadily declined during the 100 years prior to the mid-1980s. Since the ’80s, immigrants have reversed this downward trend in countries that have had substantial levels of immigration from areas where the disease is prevalent. In 2002, the CDC said: “Today, the proportion of immigrants among persons reported as having TB exceeds 50 percent in several European countries, including Denmark, Israel, the Netherlands, Norway, Sweden, and Switzerland. A similar proportion has been predicted for the United States” (http://tinyurl.com/yca3y3zs). The number of active TB cases among American-born citizens declined from an estimated 17,725 in 1986 to 3,201 in 2015. That was an 80 percent drop. Data reported to the National Tuberculosis Surveillance System show that the TB incidence among foreign-born people in the United States (15.1 cases per 100,000) is approximately 13 times the incidence among U.S.-born people (1.2 cases per 100,000). Those statistics refer to immigrants who are legally in the U.S. There is no way for us to know the incidence of tuberculosis and other diseases carried by those who are in our country illegally and hence not subject to medical examination.